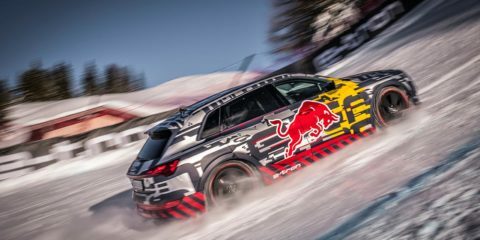 The most recent instalment of London Collections: Men saw fashions current love affair with all things military reinforced. Right now, the hottest trends are in fashion where form follows function; with everything from the beloved bomber jacket to the sartorial sneaker getting a revamp for 2016´s style files. 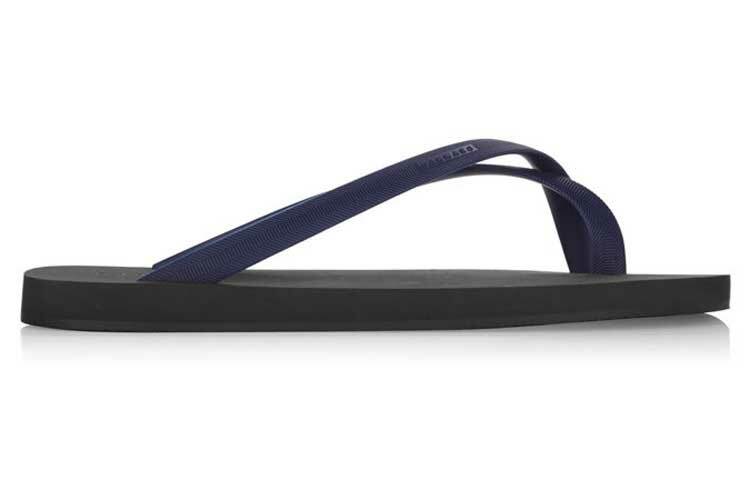 Celebrating close to its 6000 year old birthday (thanks to the Egyptians), the flip flop is one of the more surprising elements that have undergone a recent overhaul. Not normally recognised for their style attributes, the clandestine flip flop has always been identified as well, not very stylish when not in their natural habitat of the gym or shower room areas. However, these notions are now based on the past thanks to the recent SS´16 runways of Milan, all the design dictations changed alongside a guest appearance with, wait for it – knee high socks. All the top brands have jumped on what is developing as a rather substantial summer trend. Forget the neon plastic flip flops, sliders and their associated versions which frame the Chinese bazaars in Blackpool´s Ocean Boulevard (you know, the moulded foam type with the unforgiving plastic straps which remove the skin from between your toes whilst their soles slap against your feet). 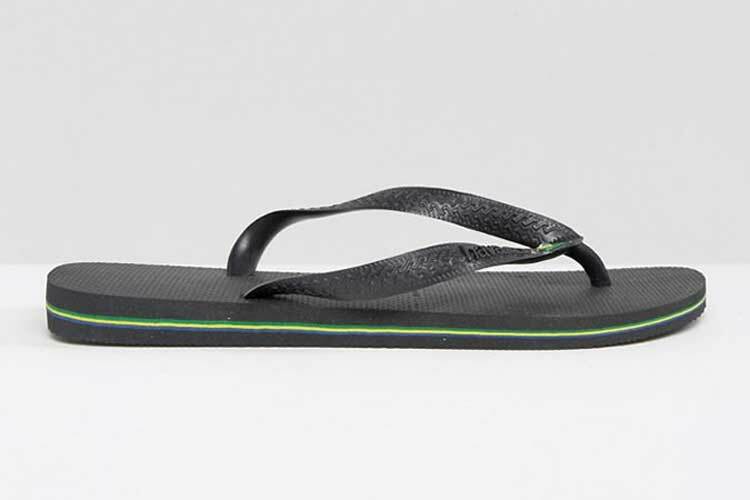 Thanks to the progressive visions of many designers, the flip flop has undergone a serious re-design with some opting to drop the traditional toe-rope and replace it with a very trendy strap detail that confidently supports your toes as well as giving a little more protection. These half sandal, half flip flop versions are one of the top styles that a lot of designers are implementing. Whether you shop exclusively for a summer holiday or for the months (or weeks) of good weather that summer claims to offer, this is a time which sees may men venture into the world of colour and experimentation. If the tropical print Cabana shirt is still a little too much for you, then a safer option may be to turn your attention to these economical flip-flops from high street favourites New Look. They won´t burn a hole in your wallet or retina thanks to their excellently priced and demurely patterned summer essentials – just the thing for a last minute buy. They are available from New Look at £4.99. 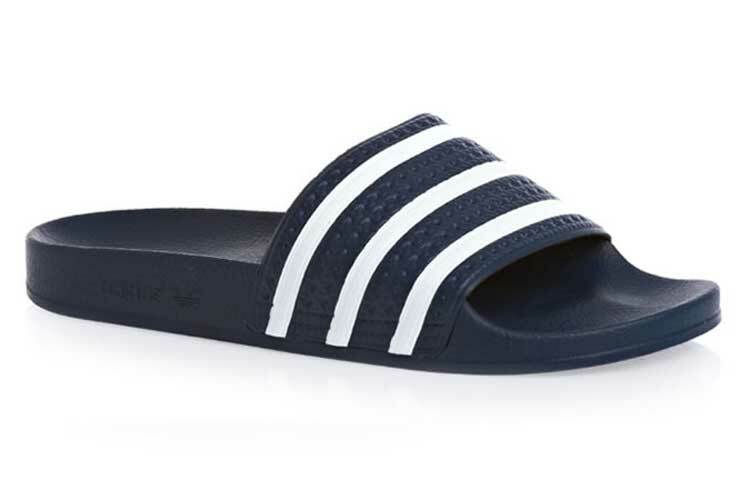 Within a short period of time, the Adilette Original slide has achieved somewhat of a cult status from Adidas brand followers which has been partly due to two factors; an imposing advertising campaign to promote the pool slide revival from the realms of the anti-verruca squad to the inner sanctum of style guru Tommy Ton and his millions of followers. Some say this is the slide of the year, but for me this is the marketing campaign of the year so look out for it. They are available from Surfdome at £18.99. 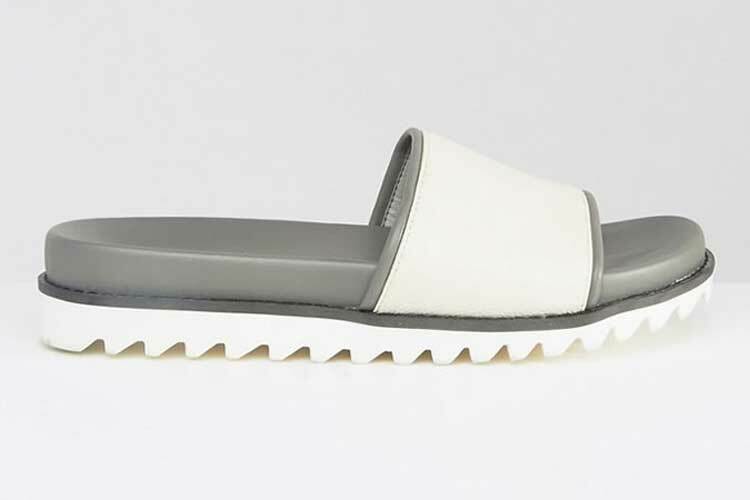 If you want to adapt to the philosophies of left-field design with paying over three figures for the designer alternatives, look no further than these offbeat slides from River Island. Sporting details such as a neutral colour palette and jagged sole (think the philosophy of Rick Owens) these will get you discreetly noticed for all the right reasons and they are just the thing if you want to chill out with an off duty style instead of being Instagramed to death by the fashion forward set. They are available from ASOS at £30. In the world of swim and beach wear, Dan Ward is another name alongside Orlebar Brown which is recognised for a more design led approach. His flip-flop collections look more at home in Capri than Cantabria thanks to the subtle makeover that Dan imposed on them. These crossover thong flip-flops make a very good argument for investing in mid-range resort basics. Their re-take on the traditional flip-flop model sees the toe supports redesigned to encircle the big toe for greater visual interest and more surprisingly, comfort. They are available from Matches at £75. Brasil is famous for many things. 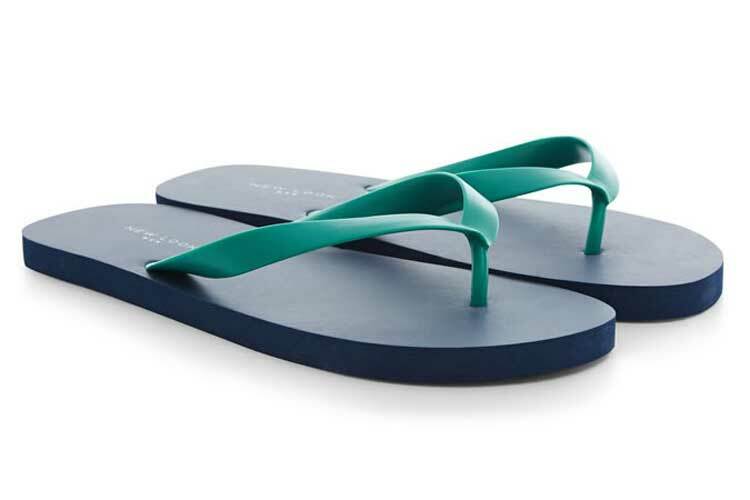 From Gisele and coffee to Samba and you guessed it, Havaiana’s. This cult flip-flop has been in practically everyone’s suitcase at some point way back since 1962. With a simple yet sharp aesthetic simulating something comparable to a Japanese straw sandal; this brand was, is and thanks to increasing yearly sales, will be iconic for many more years to come. They are available from ASOS at £20.